"Have you noticed that you gain weight every time you quit smoking?" ... "you may be surprised to learn that it has little to do with your calorie intake." "Researchers attributed the weight gains to changes in the bacterial diversity of the intestine." Thanks "researchers" for misleading everyone about your study. Well, this just keeps going - on and on and on. 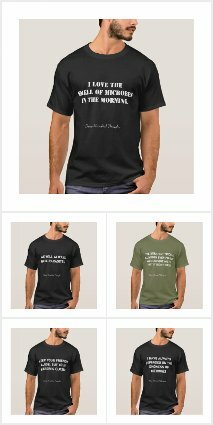 I thought I would be able to write a post when it was all done. But clearly not. So below is part 1 of an ongoing tale about me - my microbiome - my pancreas - my feet - my liver - my blood - and more. This particular saga started - I guess - in 1984. That was when, at 15 years old, I came pretty close to dying before being diagnosed with type I diabetes. My immune system had betrayed me by killing the beta cells in my pancreas. Thanks a lot immune system. Anyway - this is not supposed to be a post about diabetes. So - flash forward to a few weeks ago. Diabetes for almost 30 years and no major complications to note. Many annoyances. Some minor complications. But overall, I am doing OK. Obsessive checking of my blood sugar and trying to keep my sugar in control and trying to regularly exercise seems to have kept the diabetes gods appeased. Eyes generally always have looked good. Feet HAD always checked out. Kidneys always seemed good. Knock on wood - all was as good as I could hope for. 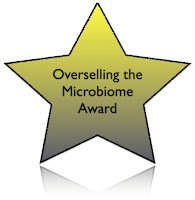 Overselling the microbiome award: VIB press release saying "Intestinal flora determines health of obese people"
Some really cool new papers are out on the human microbiome today. But alas that is not what I am here to talk about. I am here, once again, to complain about overselling the microbome. There is a headline from a press release from one of the institutes involved in one of the new studies that really irks me: "Intestinal flora determines health of obese people". As far as I can tell from reading the paper under discussion in this PR, nothing showed that the flora "determined" the health of obese people. Yes, the flora had really interesting correlations with health status. But "determines health" implies that the flora were the causal component of the health of obese people. And as far as I can tell this was not shown. What was shown was that the microbial communities - and some metrics of those communities like richness - can help predict risk of individuals for various health related ailments. two-day meeting in July 2014 in Boston. facilitate interactions with experimental biologists and biocurators. in annotation of biological macromolecules, but also related fields. Well, if you are not keeping up the saga of the UC Davis neurosurgeons who injected bacteria into patients brains continues. This week it was reported that the surgeons have (finally) stepped down from UC Davis Medical School: See the SacBee story for more detail. 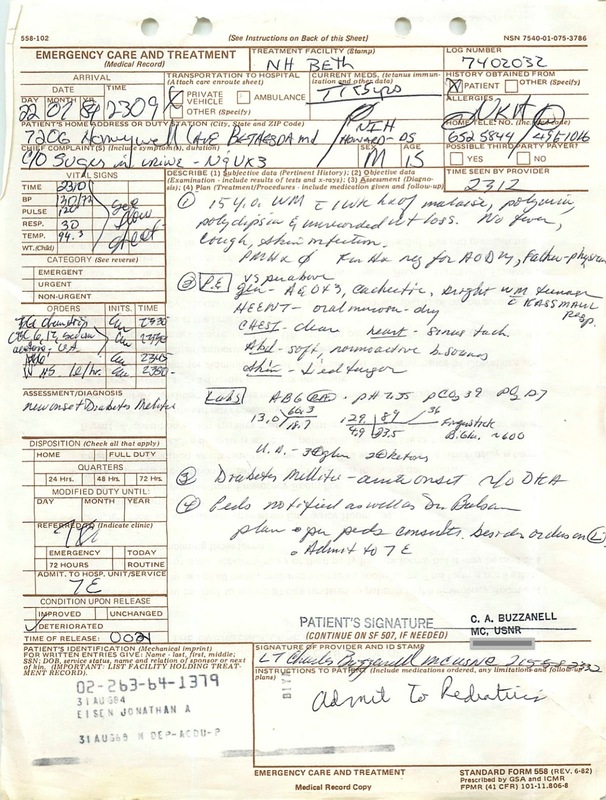 Also I have been compiling information on the case here: #UCDavis neurosurgeons conducted experimental surgery w/o IRB approval. #UCDavis Department of Evolution & Ecology Faculty Search for an "Ecologist"
which contains additional information about the position. These should include: cover letter, curriculum vitae, description of current and projected research, summary of teaching interests and experience, and three publications. Applicants should also provide the information requested for three referees (fourth referee optional). Once entered, applicants will electronically request letters from referees who will then be prompted by email with upload instructions for their letters. Closing Date: Open until filled, but all application materials, including letters of recommendation, must be received by October 15th, 2013 to assure full consideration. Administrative contact: Carla Munoz (camunoz@ucdavis.edu). Faculty contacts: Jay Stachowicz (jjstachowicz@ucdavis.edu), Sharon Strauss (systrauss@ucdavis.edu). The University of California is an Equal Opportunity/Affirmative Action Employer with a strong institutional commitment to the development of a climate that supports equality of opportunity and respect for differences. I get lots of semi-Spammy email invites to be involved in various new journals. Here is one from this week. I figure - the more I post such things, when people Google for the journal they will sometimes see my posts about how idiotic some of these journals are. No idea how I ended up on their radar here ..
We are glad to invite you as an eminent editor for the Journal of Food Processing and Beverages (JFPB). Journal of Food Processing and Beverages is an international, non profit, open access, peer reviewed journal that is being recently launched by Avens Publishing Group with a commitment to serve the scientific community. We are aware of your reputation and distinction in research in some of the fields relating to our journal and that is why you have been chosen as an Editorial Board Member of our Journal of Food Processing and Beverages. Just got invited to the "Plant Genomics Congress Asia" meeting. As usual, the first thing I look at now is gender ratio. From their web site I got a list of their speakers (so far) and their advisory board. I highlighted in Yellow ones I am inferring are male and in green ones I am inferring are female. 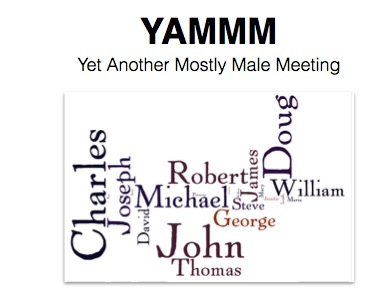 For the meeting the ratio so far is 17:4 male to female. Not the worst I have seen but still pretty bad. Though if you look at their advisory board at least the ratio for the speakers is better --- it is 17:0 for the Advisory Board. 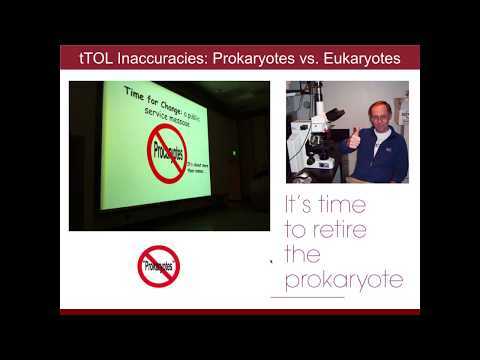 Amitabh Mohanty, Lead Trait Discovery, E.I. DuPont India Pvt Ltd. So I just heard this amazing story on NPR. "Journey Of The Ring: Lost In WWII, Now Back With POW's Son." In summary - a US Military member David Cox was taken as a POW in World War II in Germany. While a captive he ended up trading a treasured ring for some chocolate. He returned home and made a replica of the ring but always felt bad about having had to trade the ring for food. He passed away a few years ago. Three or so weeks ago, two Americans - Mark and Mindy Turner - were invited to a dinner at the house of Martin and Regina Kiss and it turns out the Kiss's had the ring. But they did not know who the original owner was. 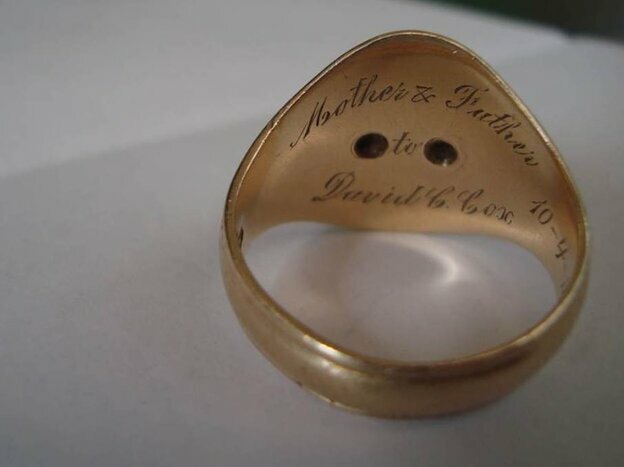 So the Turners did some searching based on the inscription on the ring and the figured out who the original owner was and it has now been returned to David Cox's son. So - how on earth is this a story connected to institutional archives. 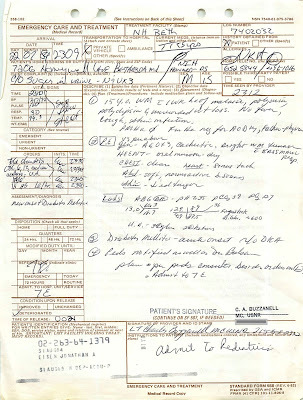 Well, it turns out that the Turners figured out who the original owner of the ring was because their Google searches based on the ring's inscriptions took them within a few minutes to this Master's Thesis posted in 2006 at the NC State Digital Repository: War Eagles: A Bird's Eye View of 305th Bomb Group and the Eighth Air Force from the experiences of David C. Cox and Joseph B. Boyle - NCSU Digital Repository. The thesis was written by Norwood McDowell, who happens to be the younger Cox's son in law. And his thesis was about the elder Cox and had a brief discussion of the ring. Kudos to all involved, including NC State and Norwood McDowell for making his Masters thesis available. I am nothing, but I write my wish because of duty for the great future of Probiotics, which shall be big fortune of earth people. I, by G-d's grace, made Probiotics Multiplication "Water" at my kitchen to help my sister's intestine problem. And I soon found out how many many applications of the Probiotics Multiplication Water shall be opened for most peoples in the earth. Please invite me at your cost and let me introduce the Probiotics Water and the vary applications in front of your team, then, I will show 100ml spray and mist of Probiotics Water to them. It would be great great opportunity of your meeting if you will do. You said in Video of TED website that we have to surround ourselves by good bacteria. How? I convince the Probiotics Water Mist and Spray is the answer. Easy and economic valuable answer! - Probiotics Water's color is plain, light pale yellow and near transparency white. If you have questions, please send me your reply asap. Though I would share this with people who read this blog but don't follow me on Twitter. Well, have already written a bit about my fun trip to DC on Twitter and Facebook but thought I would sum it up here too. Last week I had to go to DC for a meeting relating to a Department of Homeland Security grant we have in my lab (it was the annual meeting of the program). Of course the point of the whole trip was to present about our work. And for the record - here are the slides for my talk I gave on Wednesday. 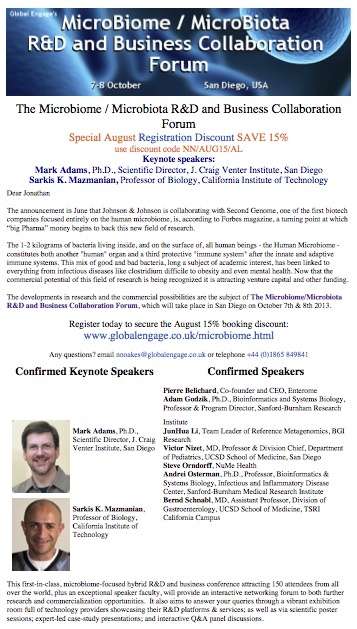 But alas, going to give talks is not just about the Science is it? It unfortunately is also about the travel. And boy do I hate travel most of the time these days. Here is a tale of my trip .... I was supposed to go on Monday but had to delay going until Tuesday due to illnesses in the family. So I called United and changed my flight and called the Westin in Alexandria and changed my hotel reservation and emailed the meeting organizers and let them know. All seemed good. Then Tuesday AM I got an email from United saying my flight had been cancelled and I had been rebooked on another flight. After calling up United and finding out that the seat upgrade using my miles / Premier status was not available I at least confirmed that I would be getting in to DC not too late. And so after lingering at home I headed to the airport and got on the flight from SMF to Houston. I got to Houston, walked around for a while and eventually made my way to the connection to DC. I went to board and the machine gave the ticket agent an error message saying "Passenger is not ticketed for this flight" or something like that. Great. And I had to leave the line, go to the desk and wait a bit until someone helped me. There I found out that United had somehow cancelled the entire rest of my flight and thus I was not only no longer booked on a flight to DC I had no return flight either. After a painful but brief delay somehow they put me on the connection and I got to DC. It was after getting the error message that I ended up engaging some social media to express my frustration and I tweeted about United. And eventually the United Twitter handler got back to me and helped me confirm that I did now have a return flight. Anyway - I moved on past the United issue and got in a cab in DC and headed to the Westin Alexandria. I got there and checked in. Sadly I found out there was no food available anywhere at the hotel (it was only 10:50 PM or so). So I decided to just go up to my room and crash. I went up to my room and - well - was seriously in for a shock. My room was a meeting room of some sort overrun with meeting tables and with a small, rollaway bed smushed up against the wall. "Is this some sort of mistake. Is there supposed to be a bedroom connected to this room?" And the person from the desk said "No. That is your room." And I said "Well, I can't sleep on that bed"
And he said "Sorry - we are fully booked - that is all we have." And I said, again "Listen, I called yesterday and confirmed my room and told you I was coming late and this is not acceptable. I want a normal bedroom with a normal bed. Nothing fancy. Just a bedroom." And he said "OK. I have another room." So I said "Can someone bring up the key?" And he said "No. There is no one else here." So I said "OK I will come back down." So I got my stuff and went back down and really wanted to ask "Well, why is there a room now if you told me the room with the rollaway bed was the last room" but I held my tongue. And after a computer malfunction that led to a 5-10 minute wait he gave me a new room key. And I was off again. Once there, I opened the door to the room and I knew before even getting into it why they did not give it to me at first. It reeked of cigarette smoke. Like someone had a cigarette testing party in the room. Drowning in smoke smell. I took a pic of the air vents to represent the smell ... for what that was worth. So I immediately went to the phone and called the desk again. Me: "Hey it's the guy who you just gave a new room to. This room is even worse. Unbearable cigarette smell here. Is this a smoking room?" 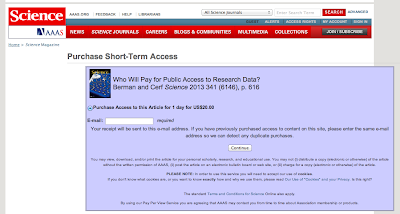 There is a nice article by Amy Maxmen in The Scientist titled "Preserving Research" on ways to share unpublished manuscripts. 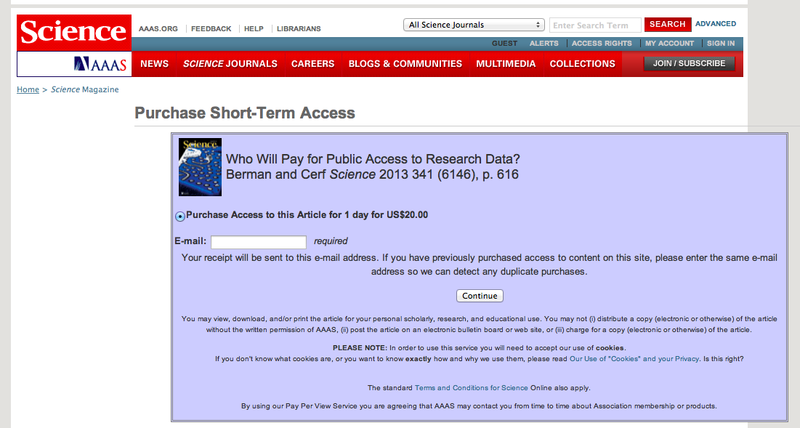 It includes some discussion of pros and cons of various archives including arXiv, Figshare, ResearchGate and more. Definitely worth a look. There are of course many many many ways to share your articles before and after you publish them. OK I have been dreaming about doing something like this for many years. One of the potentially most useful aspects of shotgun metagenomic data is that you get a sample of many/all members of a microbial community at once. And then in theory one could look across different species and taxa and ask - do they all have similar adaptations in response to some sort of environmental pressure. There have been a few papers on this over the last few years (e.g. check out this one from Muegge et al on Diet Driving Convergence in Gut Microbes). But this new paper is really the type of thing I have been hoping to see: Environmental shaping of codon usage and functional adaptation across microbial communities. Basically they looked at codon usage in organisms in different metagenomic samples and found major metagenome specific signatures, suggesting that different taxa were in essence converging on common codon usage. Quick post here. Our Project MERCCURI got some press coverage relating to an event July 20th with the Arizona Cardinals: Gilbert, Tempe participate in national microbe-swabbing project - East Valley Tribune: Gilbert. 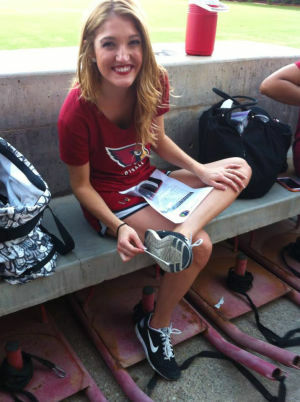 "The event — held at the Arizona Cardinals' training facility on July 20 — featured members of the Cardinals’ cheerleading squad swabbing their shoes and cell phones to collect microbe samples later sent to a lab at the University of California Davis for analysis. Microbes are microscopic single-cell organisms that have existed for millions of years and are found just about everywhere on the planet." Also some mention of out sampling the Space Station and other parts of the project.